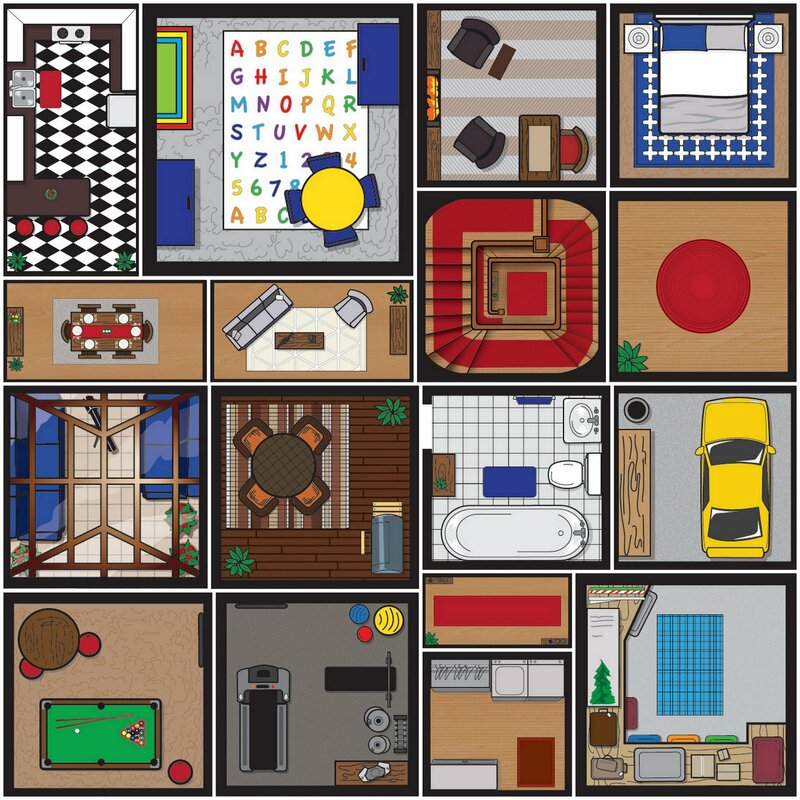 A little while ago Tim Baron completed all of the rooms that will appear in our next game called, “Home Builders”. 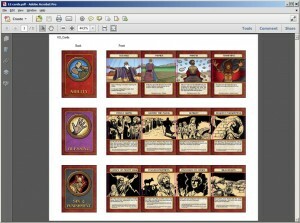 This tile laying game is currently in late playtest stage and the artwork is largely completed. 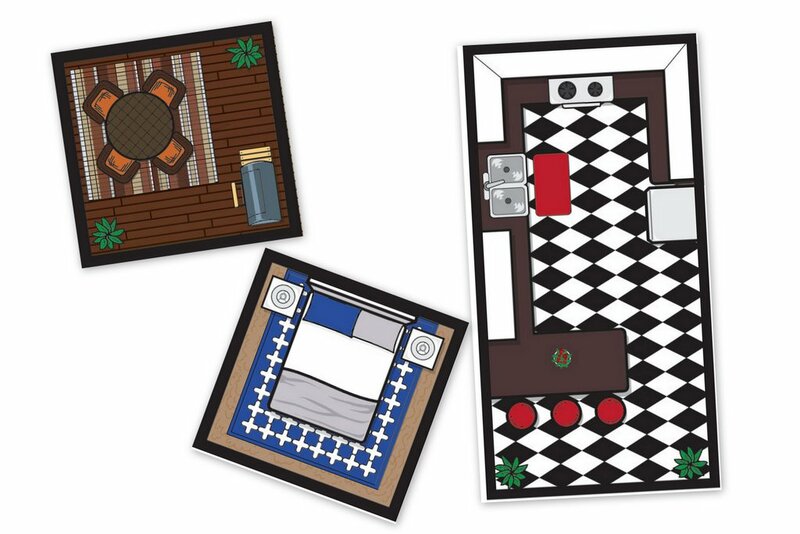 Here is a little sneak preview of all the of the rooms that will appear in the game! 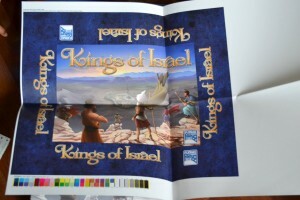 The minor issues in the physical proofs for Kings of Israel have been corrected. We are officially done with the physical proof stage and will now move onto the printing step! 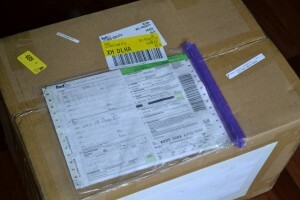 Once the games are printed, they will need to be shipped to the US, possibly processed by customs, and then delivered to the Amazon warehouse where they will then be shipped throughout the US or to my location for international shipping. We are getting close! E-mails will be sent out soon to all the people who backed or preordered the game to verify their addresses have not changed. Keep your eyes open on your inbox sometime next week! Physical proofs for Kings of Israel are in! 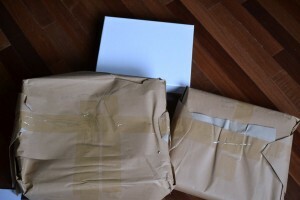 Next I need to schedule a Skype call with Panda Games and go over the materials. Looking at the materials, I only see one noticeable error: The Starting Player card is a postcard and not a playing card. Not a big deal, if fixing that would cause a delay I will just leave it as-is and the first printing backers will get an additional bonus. Otherwise if I don’t find anything else wrong, Kings of Israel will be printing soon! I have been working on this Bible study for some time and it has finally been finished! 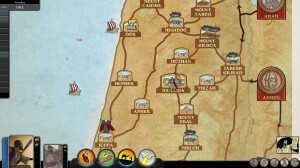 For those interested in using Kings of Israel for Bible study purposes, I have created a Prophet Bible study to add to the Kings and Locations studies I have created. This study goes over all of the major prophets that lived during the reign of the Northern Kingdom kings, and should help give the readers a better understanding of who lived when and some of the things that they did. You can check it out here. Additionally, I am considering creating more jumping off studies for Kings of Israel if the interest is there. I wrote a little about my ideas for these studies on the Kings of Israel Bible Study page. If it sounds interesting, please contact me so I know how much demand there is for me doing so. 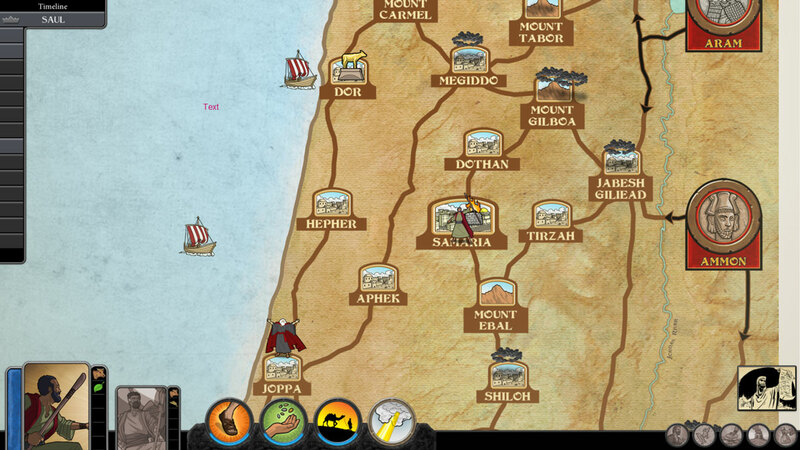 Looking for a peak of the Kings of Israel digital game that is being worked on? Here is a preview of the animations in the game. 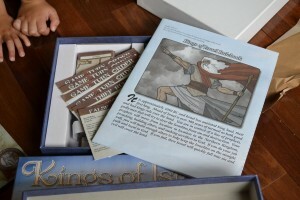 The sin cubes in the board game have been replaced by storm clouds with lightning flashing every so often. The altar now burns throughout the game and the prophets each have their own poses and reactions. 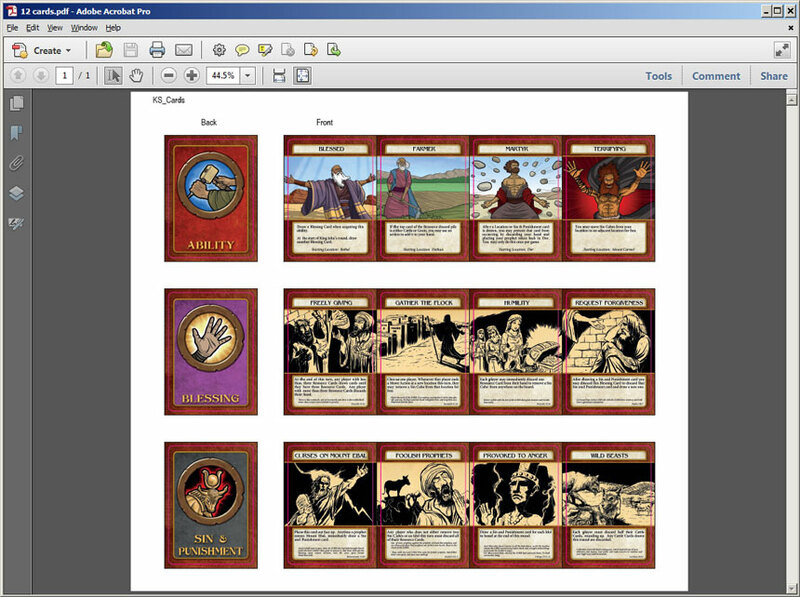 Cards will be next and will be available in a text file for reference. If anyone else wishes to make another translation available to download and reference, please contact me! 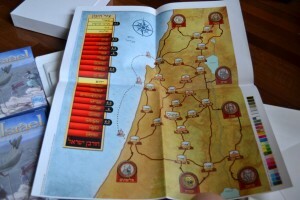 New article about Kings of Israel up! Digital proofs of Kings of Israel are in, physical copies of these files should be here pretty soon too. Once I receive those files, and I can verify the materials and appearance look good, then the manufacturing of Kings of Israel will begin soon after! In the meantime, here is a screenshot of one of the files I received. Some more artwork for Home Builders came in recently! 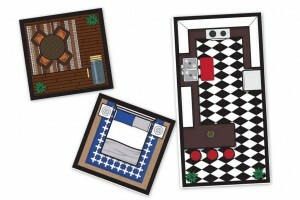 Here’s a collage of the new bedroom, deck, and kitchen tiles that were done up by Tim Baron. Half a dozen tiles to go before moving onto other pieces of the game! 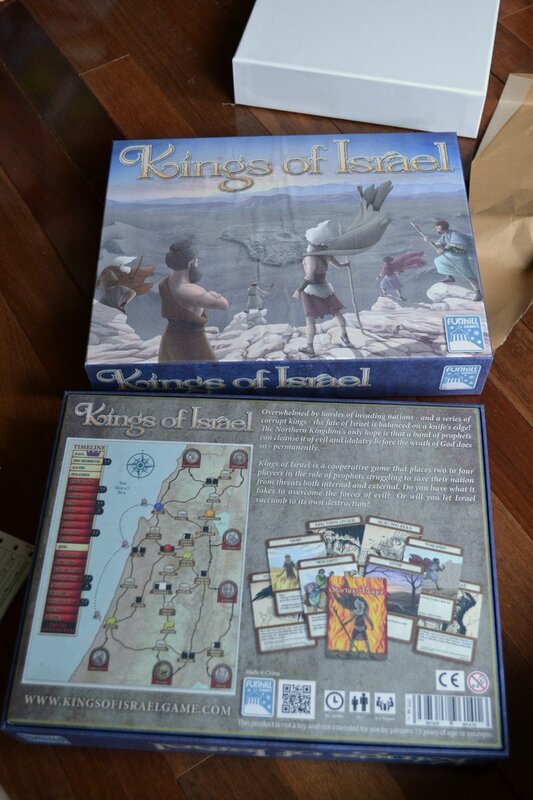 I got a peak at the latest build of the Kings of Israel computer game today and I am getting pretty excited! The developer has integrated the latest icons and tokens that were created by Matt Ebisch. For example, on the bottom you can see the various actions the current player can select as symbolized by icons for each. The foot is for movement, the hand out is to aquire resources and so on. 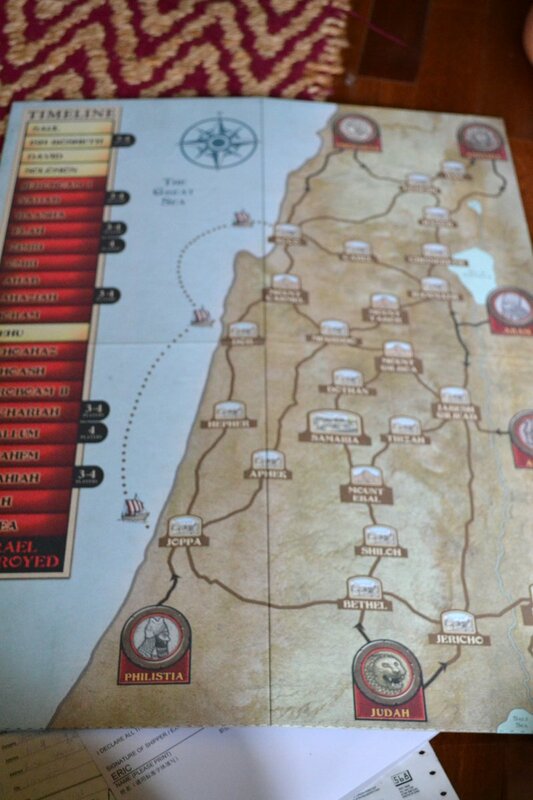 On the game board there are miniature prophet icons that will change depending on whether they are taking their turn, waiting on their turn, or if their turn has completed. Also shown is an idol (golden cow) and the clouds that represent evil. These clouds will have an animation that makes them change and float around the location that is growing in evil. I think it is looking great and I can’t wait for new updates as they come!